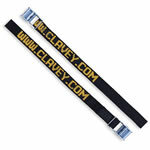 The Clavey SUP & Surf Rack Pads are the quick, easy and inexpensive way to pad your board from your rack. Fits Thule (square) or Yakima (round) bars. 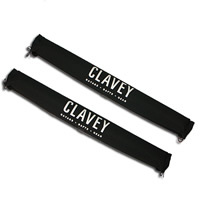 Sold as a pair, the Clavey SUP & Surfboard Pads are made with 100% acrylic fade-proof fabric.